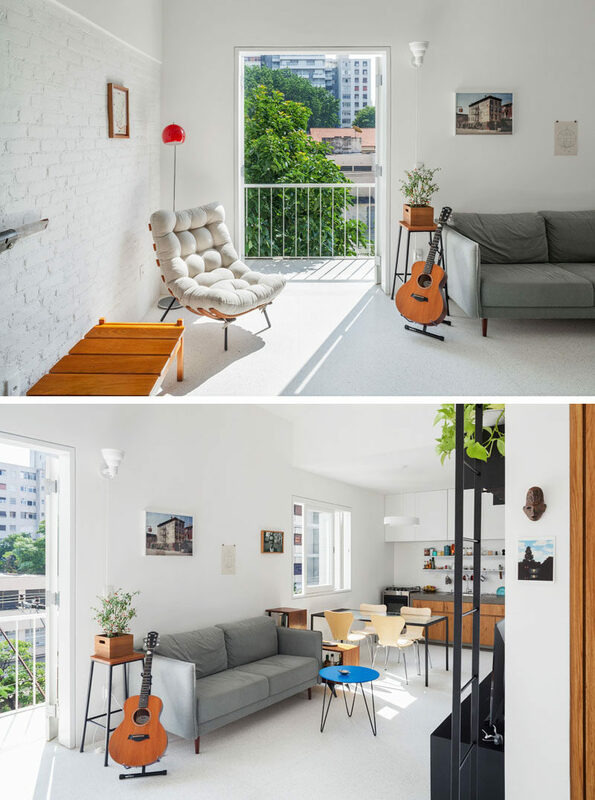 Vão arquitetura have renovated a 538 square foot (50m2) apartment in Brazil, that takes advantage of the pitched ceiling height to create a unique lofted sitting area. Stepping inside the apartment, you’re greeted by a small white alcove with a plant that’s surrounded by wood panels. Inside the panels are a variety of shelves and a small sink. The apartment has an open floor plan with the living room, dining area and kitchen all sharing the same space. A pitched ceiling and white walls help to make the space feel larger. In the kitchen, white upper cabinets reach all the way to the ceiling, while a concrete and wood kitchen unit is sandwiched between the stove/oven and the fridge. 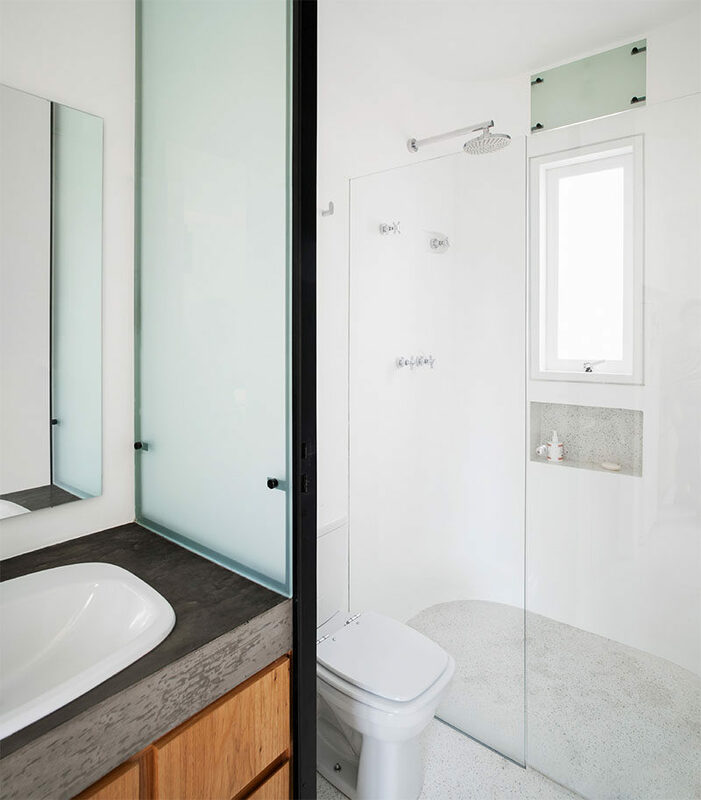 Off to the side of the kitchen is the bathroom that has a wood and concrete vanity to match the kitchen. Opposite the door to the bathroom is the entrance to the bedroom. 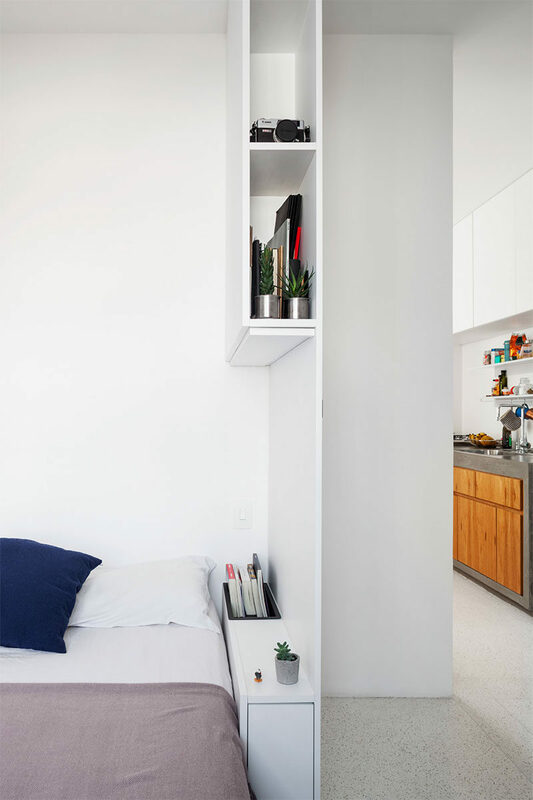 Simple shelving provides extra storage, and acts as a bedside table and privacy wall. Back in the living room and on the wall opposite the couch, there’s a custom iron shelving that houses books, electronic devices and a collection of LPs. 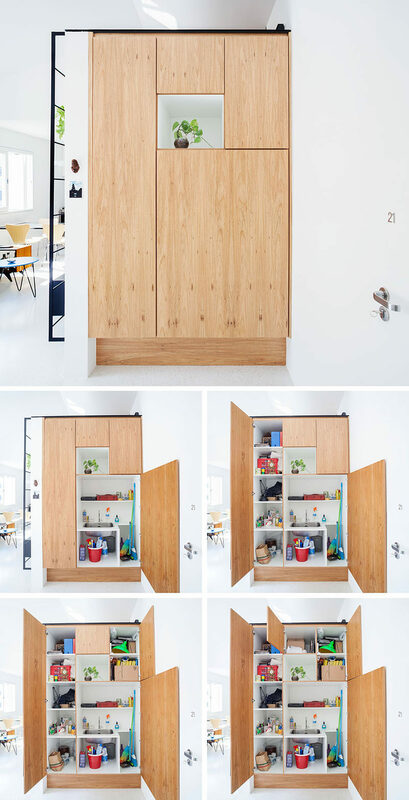 A iron ladder on the same wall leads to a lofted space that can be used for storage or as an additional sitting area.